With 13 years’ experience in both domestic and commercial properties, I’ve come across many problems so I can normally solve issues very quickly! I cover all of South London and most of North Kent. 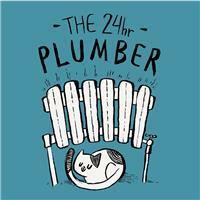 The 24hr Plumber provides minimum one-year guarantee on all work and my plan is to satisfy you. If it carries water, I can fix it! Payment to be made upon completion of call out/work via Cash or Card. You will receive an invoice via email upon completion.